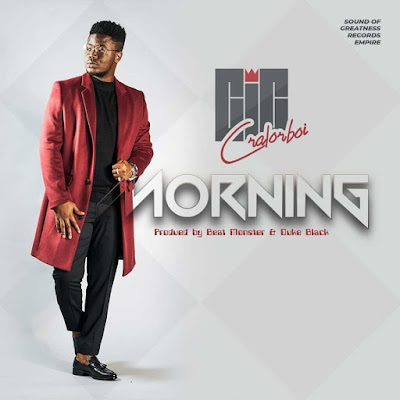 Maurice Tosh Gayflor, widely known as "CIC" surprises and thrills his fans thru social media hours ago, when he announced the release date of his new song "Morning". According to the SOG Record Lead Vocalist, the song is dedicated to the ladies. "Morning" when drops will be added to the list of several love songs the Lonestar Cell brand Ambassador has dedicated straightly to the Ladies. The song is produced by Swagpro Ent hit producer dukeblac and Beat Monster, a Nigerian producer. The now anticipated joint, according to information gather will form part of many songs expected to be a part of CIC's Album set to be released in December.